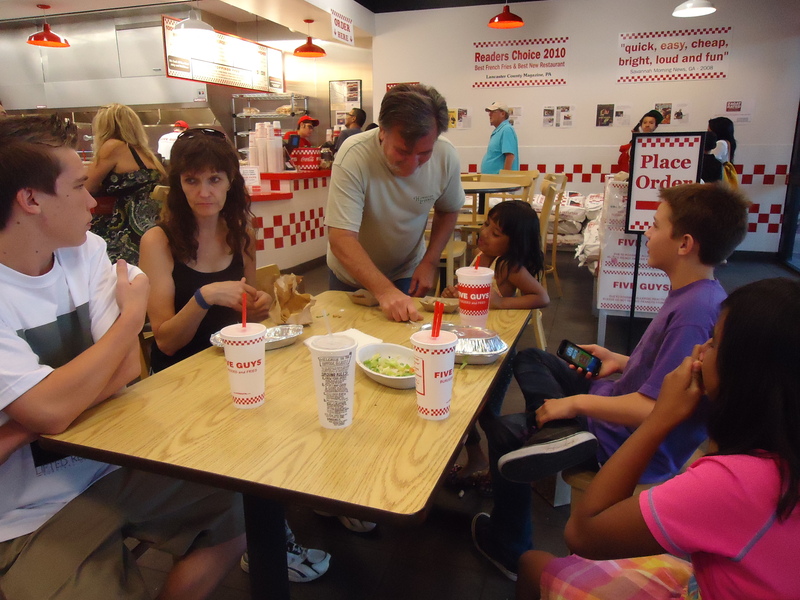 I usually don’t blog chain restaurants, but this was a fun family night out. 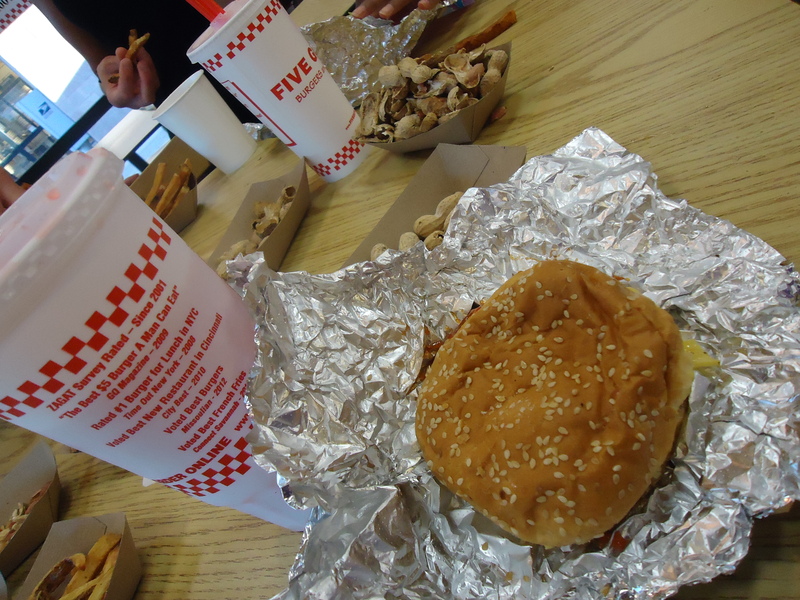 I first went to a Five Guys (where they started) when I was in D.C. a few years ago -now Five Guys are all over Arizona. I went here with my dad and his family tonight. 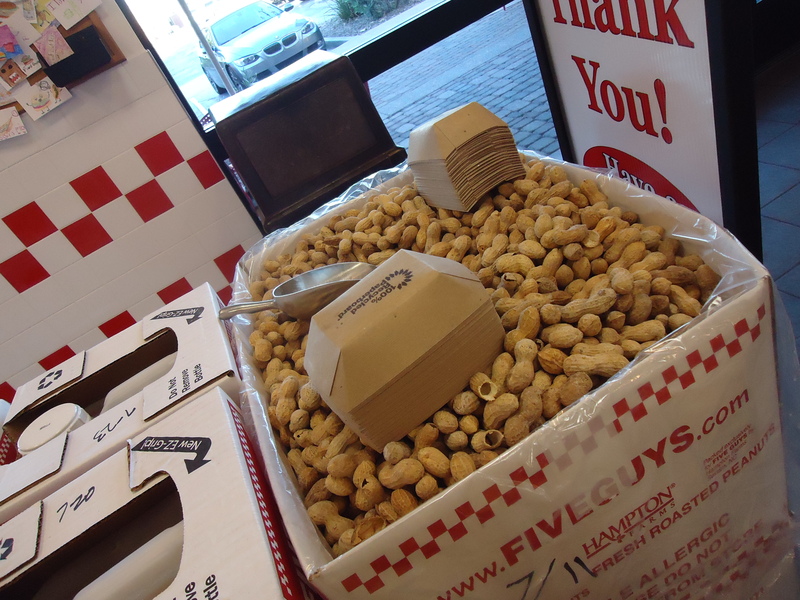 They serve a pretty good burger and free peanuts as you wait. 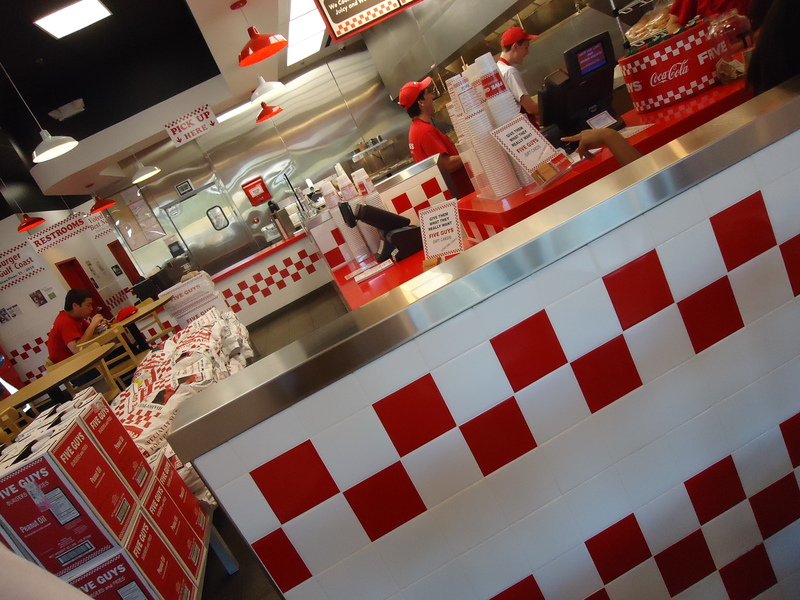 This entry was posted in American Food and tagged chain restaurant, Chandler, fast food, Five Guys, Five Guys Burgers & Fries, free peanuts, Fries, Hamburger, Hamburgers, peanuts, Urbanspoon, Washington DC by ttimmons. Bookmark the permalink.